The Not Provided dilemma is affecting countless SEO specialists and webmasters. As part of Google’s recent updates, nearly 80% of keywords no longer appear in search results. This is an attempt by the popular search engine to reduce the ability of SEO expert to track their keywords performance, taking away the ability of concentrating more on specific KW. This ongoing problem has impacted the ability of users to extract vital data from analytic that pinpoint keyword and SEO performance. To combat this issue, the folks at SEOMonitor.com have devised a tool that accurately measures KW accuracy and offers previously unattainable information. Utilizing a blend of data from analysts and webmaster tools, the tool is heralded for its real time results and precision. SEO Monitor utilizes innovative tools that accurately analyze and assess keyword data. This information, of course, falls under the not-provided category, however, is the perfect solution for SEO professionals looking for better insight and performance. The tool also evaluates not provided SEO traffics using a combination of data from analytic, webmaster tool, your site data and a proprietary algorithm. With this impressive tool, SEO experts are able to control and manage their entries from one convenient and comprehensive source. With plans ranging from $24 – $199 per month, this is the ultimate solution for those feeling the brunt of Google’s new search algorithms and parameters. All plans come with a 14 days free trial for your convenience. 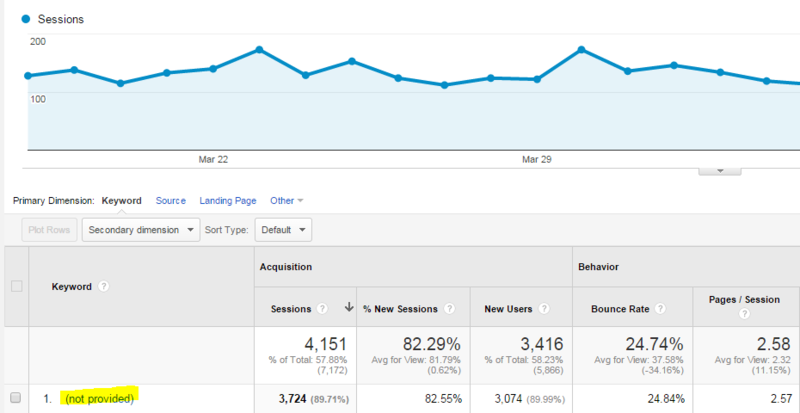 SEO Monitor unlocks hidden data from Google analytics. This allows users to see which branded and non-branded keywords are really driving productivity and results. Having this information is a key factor in securing greater visibility, while making sure your SEO strategies are in line and working. Whether you want to recover lost data or formulate new entries, you are guaranteed optimal accuracy and not just guess. The rank tracker is another benefit built in the system, which precisely measures the position of your keywords on the search engine pages. Whether it’s generating leads or revenue, why rely on estimation when you can get clear and concise returns that foster greater online growth? This includes automated KW research, along with reputation, competitor, and rank tracking. For more information on reliable and effective keyword management, simply visit SEOMonitor.com today. Their services have received stellar reviews from SEO critics and clients alike. If you are struggling to attract and engage potential and new visitors, their tools are guaranteed to meet your needs within time and budget. As an online retailer, you should always keep an eye on your competition. This also applies to the website design: if you want to know which solutions work in your field of expertise, check the options used by your biggest rivals. Of course, there is a limit to how much you can copy. For example, you can use the same layout or product categories for your online store, if they work well for your competition. However, you should never copy logos, graphics or photos used by your rivals, otherwise, you will confuse your customers and start losing them on behalf of your competition. If you want to have a website, which is modern, innovative and far ahead of what your competition have to offer, check the newest trends in eCommerce and visit one of many blogs and galleries, which showcase the best examples of website design. There are many good websites offering a fashionable selection of the best designs online. You can start by checking Web Design Inspiration, Inspirational Shops or CartCraze. If you look for inspiration for a logo, visit LogoPond or LogoGala. Another possible starting point is to consider your strongest points and use them as inspiration for the website design. For example, if you sell natural cosmetics, use graphics associated with nature and colors, such as green and blue as the dominant motifs on your website. If your products are somehow inspired by the past, you can use retro fonts or graphics in your website design. To make your offer look more professional and innovative, use shades of blue as the dominant color in your design. If your products have a well defined target group, it can serve as yet another possible source of inspiration for the website design. For example, if you sell products designed for young people, you will probably benefit from innovative Magento enterprise development and creating an application, which is fun to use and offers features, such as product comparisons and social sharing. Last, but not least, make sure that your website design is practical and will look just as good on a desktop computer, a laptop or a smartphone. Look for eCommerce developers for hire to create a responsive website, ready to use on mobile and desktop platforms. Design your website navigation with mobile users in mind, taking into consideration the fact that mobile users perform almost all virtual operations with their fingers. Make sure that icons, buttons, photos and other functional graphic elements on your website are separated one from another and easy to notice even on small screens of mobile devices. Marta Gromadzka is a writer and editor with a wide variety of experience, including writing for websites internationally and editing books on many different subjects and in a variety of formats. As most of the local businesses focus on the English speaking markets, you might feel that it is increasingly becoming crowed with competition. So the smart business owner should always look for other markets to push business forward, so why not start looking at foreign markets. It is understandable that this has barriers: typically languages but also technological. However with the raise of online job market places such as odesk and fiverr finding a decent translator is not a big issue. In addition to this, new and effective plugins have popped out to help spread your blog to foreign horizons. The possibility of blogging in more than one language has brought in string of advantages both for the simple day to day blogger and multinational corporates. Being able to blog in several languages allows you to reach newer market beyond your geographical region. It makes it easy for your business to carry out marketing campaigns in countries that don’t speak your dialect. Multi-language blogging gets more traffic to your business as the global consumer market can access your webpage. Multilanguage blogging helps your business grow, expand its territories, bring in more resources and even the chance to employ new workers both locally and overseas. WordPress already provides a ready blogging platform complete with pre-customized templates to re-design how your page looks like. Moreover, with the advancement made in technology, you can also transition your normal blog to a more professional look called a weblog. This opens you to more features like analytic tools and a proper web layout accessible both on desktop and smartphone. To help work better with wordpress, plugins such as WPML (Word Press Multi Lingual) allows you to blog in other languages besides English. With this plugin you can translate our blog pages to different languages and even translate foreign blog pages into your own language. Additionally, you can translate menus, comments from different blog visitors and even posts. WPML has been designed to sync to any wordpress theme you use plus there is ready support from wordpress in case you experience any technical issues. With both wordpress and WPML plugin at your disposal, there is no limit to how many markets you can reach, how many consumers you can reach, and how much your clientele can grow. It becomes possible to hold marketing campaigns on a global scale, allowing more and more consumers to participate in your brand and product. And the best part is, using both wordpress and its plugins is completely free for the first time blogger and additional features are available at a pocket friendly subscription. 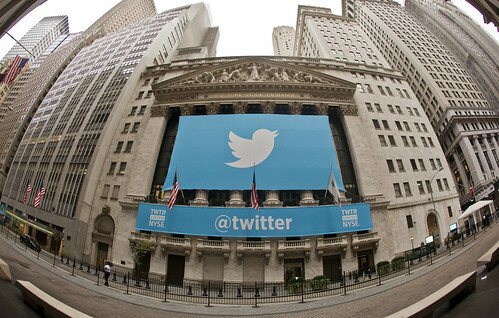 Twitter continues to soar in global popularity. With well over 974 million users, this social media network and platform has also become a central hub for business correspondence. Like Facebook, Twitter is designed to instantly generate a lasting and effective buzz about your products and services. No longer is the social utility simply used to rekindle old friendships and build new ones. With social media integration and mobile marketing, Twitter is simply a great way to expand your respective communities, while establishing brand validity, identity, recognition and awareness. If looking to secure higher visibility across leading search engines, the social media network features a myriad of tools that truly achieve desired results. Crowdfire is an easy tool, which has received stellar ratings by users and critics alike. Formerly known as JustUnfollow, this fantastic social media product is designed to help people gain more followers on Twitter, Instagram, and other networks. The followers, however, are specific to your respective industry, niche, or audience. Whether marketing to core or mass audiences, Crowdfire guarantees timely, effective, and lasting results. This includes greater conversion rates and social ROI, along with increasing engagements. The local functions are especially helpful in helping business owners tap into geo-specific trends and data that enable strong presences within local search results. As always, the tool encompasses mobile ready sites, and easily allows users to manage, add, or remove followers. Commun.IT is another fine product that helps you effectively manage your Twitter communities. As a vital social media tool, Commun.IT features a comprehensive and user-friendly dashboard that makes community management a snap. Like Crowdfire, you can use this utility to search for local, statewide, regional, national, or even national followers via core orientated keywords. Instead of just an entire database of followers, however, this tool allows you to separate them into certain groups and sub-groups. This enables you to assess and analyze data, traffic, and posts. It also allows you to gain better insight on your followers, while streamlining and centralizing communication protocols. In fact one of the best functionality in commun.it is the ability to rapidly re-engage with many of your follower and community members with preformed message with just one click, so you can really rocket launch your followers building. 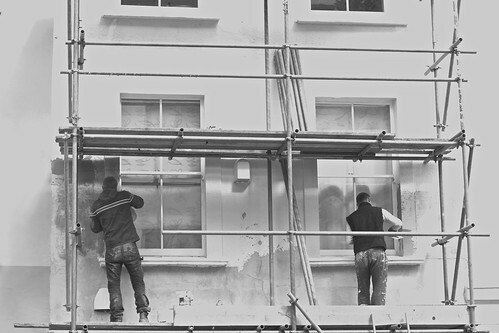 SEO for Tradesmen, Builders, Decorators, Plasterers and Plumbers. Whether you are a builder, decorator, plasterer or plumber, at some point you will begin to see the importance of a website in your business. You want exposure right? Or you want your products and services to be known over a wide geographical area too, right? A website is thus a necessity, and not just any website but a SEO optimized website. SEO marketing for trades people. Source. What SEO does for your business? SEO (search engine optimization) refers to using specific keywords to make your website visible. Having a website is great, but it’s not enough. Consider the number of businesses you are competing with out there. Just as you use off-site marketing campaigns to attract customers to your plumbing services, plastering services or decoration shop, you also need the same tactics to pull people (or traffic) to your website—hence the need for SEO. SEO makes it easy for search engines like Google, Yahoo or Bing to identify your content and rank it highly. If you search for YouTube today, you immediately get a link to the right website; bearing in mind there are several other gimmick websites out there going by the same name. That’s what SEO does; it will highlight your decoration, plumbing, beauty or constructor business and rank it highly over your competitors. If there are like 200 business competing with you in your geographical area, SEO will make your business uniquely stand out, thus customers will find it easy to find your business online, and with tools like seo mapping, they can easily find directions to your place. With SEO tools used on your website, you will increase the number of people visiting your website daily, weekly or monthly. The more visits you get, the higher Google will rank your website and the more noticeable you get in the long run. So imagine having customers visiting your shop frequently without having to hang a banner outside your shop or distribute flyers. That’s how much easier marketing becomes when you use SEO. Blogging Services for SME in the UK. Language Media LTD blogging services. With the digital age upon us, blogging is simply essential for any new or existing commercial venture. In fact, it plays a key role in any online marketing or advertising campaign. With new businesses popping up in the UK every day, the ability to effectively market products and services to mass audiences is paramount. This helps your small or medium entity compete with more established companies, while establishing brand validity and awareness. Along with mobile marketing and social media integration, daily blogging can also help you maintain a competitive edge in your respective niche or field. With captivating and compelling content, you can easily attract and engage new and existing customers. Running a daily blog is even essential for SEO purposes, and can propel your business to new heights. Blogging for business is a must for anyone that wants to compete in this challenging and diverse market. Sadly, many UK companies and brands are simply not reaping the awards of blogging. With the latter, you can include links that connect potential and existing clients to the products and services they seek. You can also promote special sales, along with new products and services. With localization and mobilization continuing to be all the rage, customers simply want to access information while on the go. No longer do they have time to search for information via traditional desktops and conventional laptops. As a result, your blog must be optimized to appear within local and regional search results. This helps extend your brands reach on the web, while showcasing your brand as a true professional enterprise. Blogging has helped countless companies secure brand recognition, identity, and higher visibility across vast digital networks. This includes leading search engines, as well as online business venues. If pressed for time, however, companies like www.language-media.co.uk offer a myriad of affordable blogging services for all types of businesses. With years of extensive industry experience, they have the tools and expertise to truly achieve your desired results. In this day and age, brand messaging is the cornerstone of a potentially lucrative business. Even firms that are thriving rely on blogging services to keep their content fresh and active. Most of all, blogging can help your firm become a true industry leader. Using digital marketing strategies allow you to boost your business quickly. This can be attributed to the many advertising avenues used by digital marketing. SEO, on the other hand, allows your website to be ranked higher in search engine results. Basically, businesses that have websites are more successful than those that don’t. To improve the ranking of your website, you need to make use of SEO strategies. Digital marketing ensures that you reach many people from different locations. At an affordable rate, you will be able to reach many people within a short period. Increased exposure that comes with digital marketing will drive more people to your website and business. Additionally, optimizing the key word search content on the website will ensure that you realize long-term returns on your investment, after which you will only require a fairly low cost to maintain the website ranking. With digital marketing, you can measure the success rate of your advertisement campaign online. This makes it easy for you to adjust anything that is not working for your business and improve the results. Digital marketing allows you to measure the amount of traffic to your website. Digital marketing is a new and continually evolving method of marketing your company’s products and services. The method offers you many advertisement channels, hence increasing your chances of success. This technique, combined with SEO strategies will improve your ranking and grow your clientele base as a mortgage broker. Additionally, you will also be able to tell the number of potential clients who have visited your website at any given time. Google is the world’s largest and most popular search engine. In recent years, however, the popular search engine has helped countless companies and brands market their services. With an array of promotional, SEO, and advertising tools, Google can truly propel your new or existing commercial entity to new heights. This includes hair salons and parlors, which help customers look and feel great. No matter which hairstyle you want, stylists can help you look like a million bucks. This is because they are in tune with all the latest styles and trends. Whether you own your own hair salon in London or anywhere in the UK, tapping into local business listings is simply essential. With Google local search, thousands of potential customers access the information they need while on the go. This includes business ratings, along with industry rankings and customer testimonials for several businesses. If you own a beauty parlor or work as a beautician, it is paramount to be listed within local search listings. This way, potential clients can easily find the services you or your company offers. This can lead to recurring business, along with stellar reviews from customers and critics alike. In addition to appearing within local search results, it is equally vital to have a captivating and compelling website. The latter must be also optimized to secure higher visibility on leading search engines. For hair salons and beauticians, a strong site with relevant content can mean all the difference between optimal and languishing results. Your hairdressing or beautification site should also be designed to attract and engage new clients. As always, having a blog with fresh content and social media integration is also important. If you want to stay ahead of the curve and compete in this challenging and diverse market, you simply need the right SEO and online marketing campaign. Like any other business, hair salons and beauty shops must stay abreast on all the latest trends and styles. They must also stay local in order to reap the benefits of loyal customers and new clients. To truly excel your new or existing commercial venture, you simply need Google. When you own a website, over 50 percent of your visitors often come from Search Engines. This implies that over one half of your new clients get to know about your services from search. Additionally, 7-10 health-related inquiries often begin at search engines. In fact, most patients discover and evaluate their health moves or decisions online and they usually start by using search engines. This is why seach engine optimization (SEO) is important. · Ranking well or high on search engines instills trust in your customers and potential clients. · Content: You need to add fresh content to your website regularly to increase traffic. One page website will never work; the best website for clients and search engines contain multiple pages of updated and useful content. · Links: For your website to rank well, you must have quality links from other reputable websites and blogs that point back to your site. · Stay Local With Google Local Business: Being listed locally will improve local rankings of your website considerably. · Make Your URLs search-friendly: Ensure that your URLs are search-engine-friendly by incorporating clear and non-flashy keywords. · Social Media Distribution: Another important way to rank your website is to distribute your website’s fresh content to relevant social networking platforms. By and large, the odds are that your fellow doctors/dentist or competitors are already implementing SEO strategies, and there is no reason why shouldn’t join the band wagon- get started today and drive long term results for your business or career. Estate agents need to consider SEO as nearly 90% of buyers use online services when house hunting. With so much of online opportunity, realtors cannot afford to miss out on the traffic (existing and potential customers). 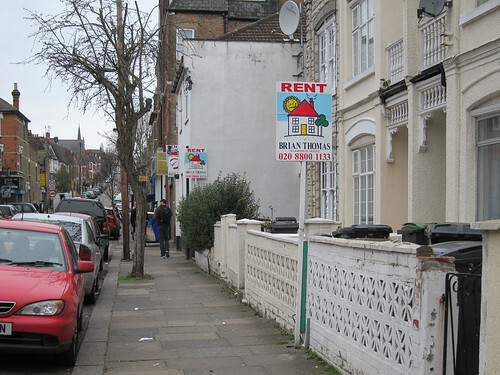 Promote your London property business online with SEO. Source. Most home buyers start their search with a local keyword or phrase. Estate agents need to focus on the city that they do their primary business when building their website. The site can be optimized with search terms such as real estate (city), homes for sale (city), real estate listings (city) and other similar keyword phrases. The target keywords need to be incorporated in the content in a natural way to make them interesting. The focus should be on capturing local traffic. Although real estate agents have hundreds of property listings on their websites, there are some key properties that they may be motivated to sell. Blog posts that are specific to these properties can be written to attract traffic. It is advisable to follow the best SEO practices such as including the keyword in the Meta description, title tag, content and file name on images. Home buyers love seeing images and videos of homes that they are interested in buying. Testimonials on videos can also be used to capture the attention of the buyer. Most buyers are using their mobile devices to search for property listings. Make the website mobile friendly as buyers look to read general information about the property, get directions, compare features and prices and locate a broker. Realtors with active social media (Facebook, Google+, Twitter, Pinterest and Instagram) presence may be able to connect faster with their buyers. Incorporate social media in the website so that you may be able to interact with the client whenever they have a query about the property listed on your site. Get listed in real estate agent directories so that you may be able to attract a lot of traffic to your site. You may be able to achieve success when you make a targeted approach towards your customers.